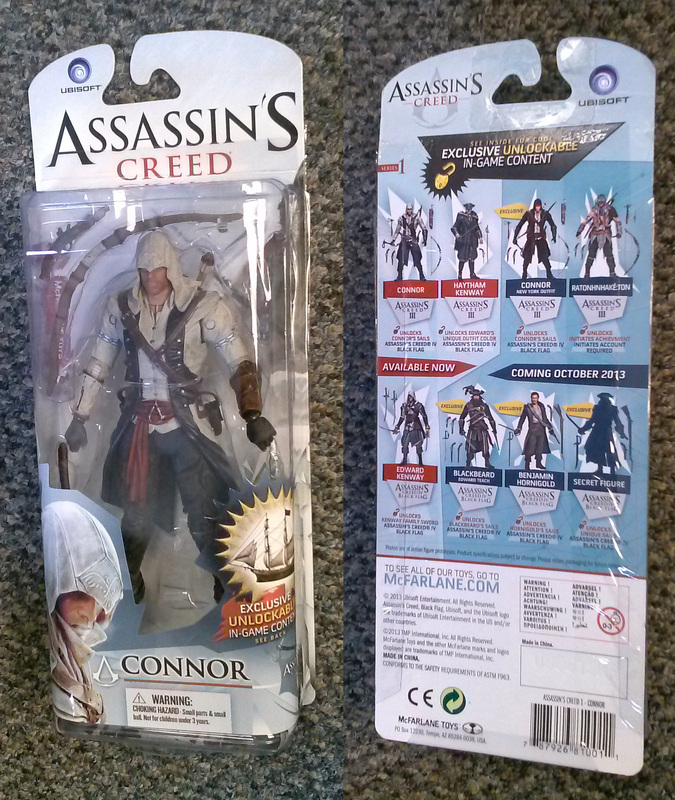 Was at Toysrus and spotted McFarlane Toy’s Assassin’s Creed Action Figure line. I was pretty amazed with these. 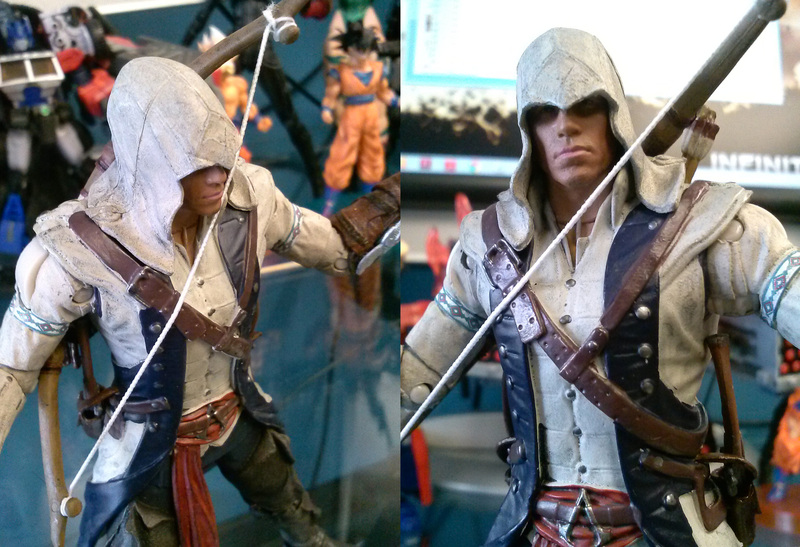 The sculpting is very impressive. 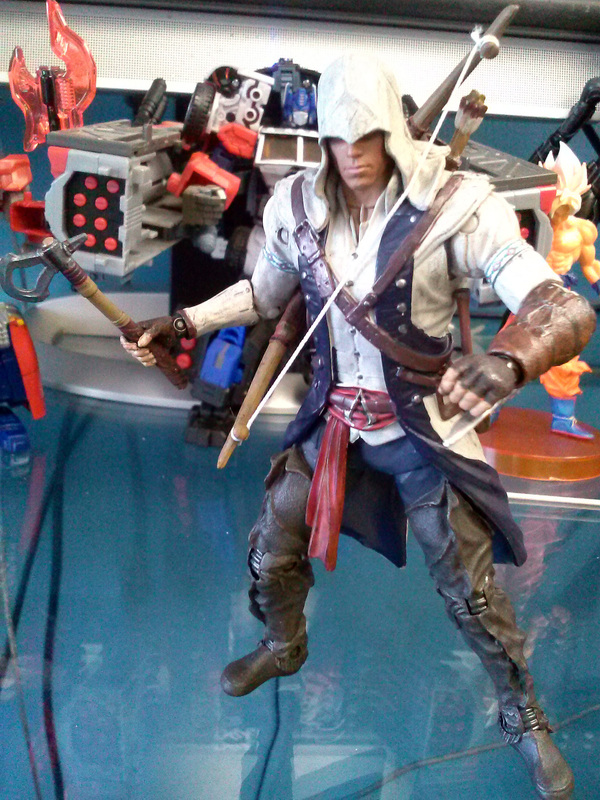 For Connor, his weapons set his pretty vast: Bow, Axe, 2 Pistols, and a hidden blade attachment. 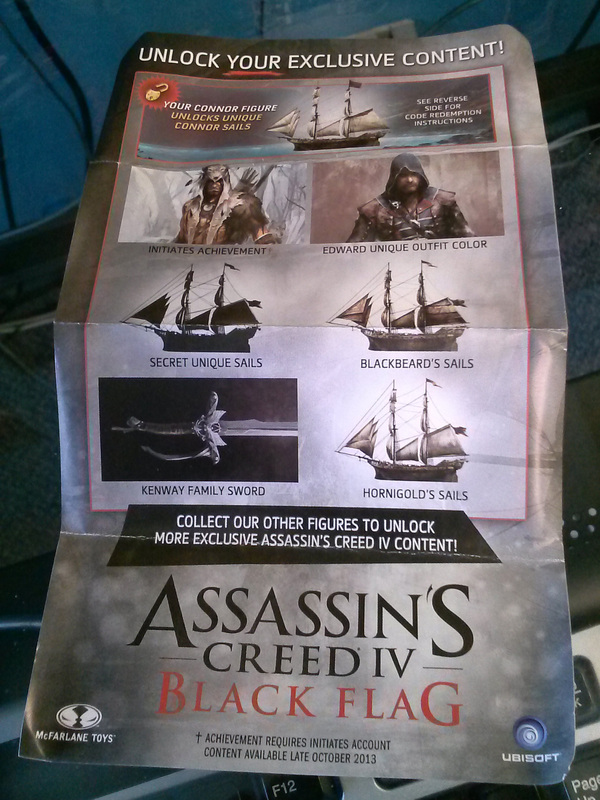 You also get a download code for exclusive game content for the AC3 game. Finally found this figure after week’s of hunting at retail. This is McFarlane Toy’s Halo 4 Cortana. She comes with a removable base. She has an optional virtual screen+right hand that you can swap onto the figure. You get very dinky small 1″ Master Chief figure. Definitely a great figure to own and add to your Halo action figure collection. Anybody who’s played Halo 4 will remember the Cryotube Master Chief emerges from at the beginning of the game. Made by McFarlane Toys, plastic Cryotube stands 8.5″ tall and includes a 5.5″ frosty painted Master Chief. 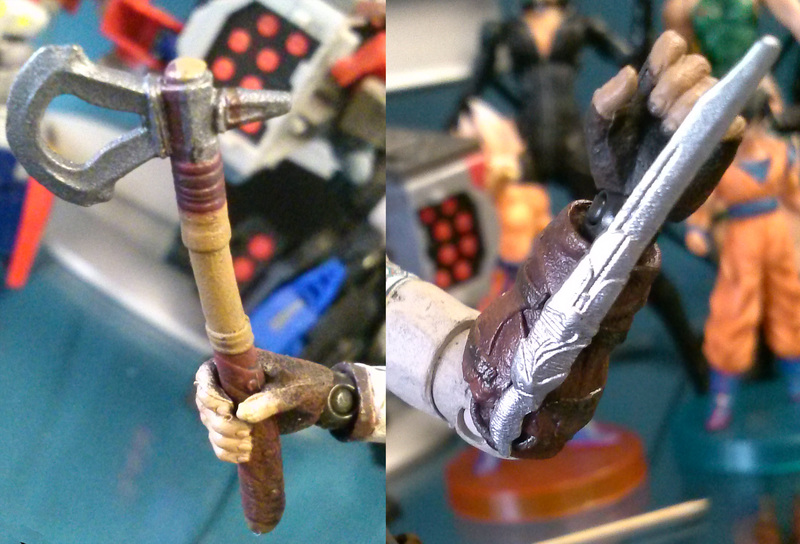 The cryotube features weathered paint apps for a cold and dated feel. The tube opens up in the front so you can insert your Master Chief or any other solider of equal size. The included Master Chief that comes with the tube is the same mold found in the Halo 4 series 1 line just with a more grey and frosty paint scheme. He includes in small hand gun as his only accessory. 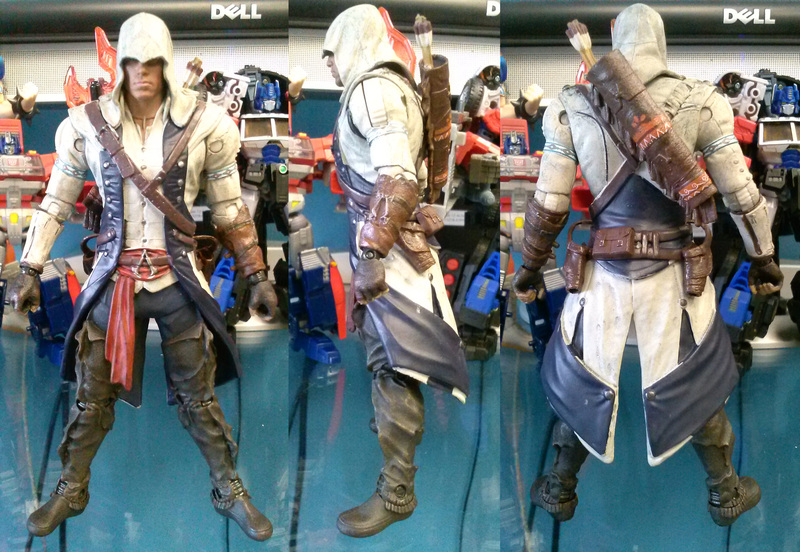 The figure is very video game accurate in design and proportions. This is definitely a must have for Halo fans. I imagine this will go for a pretty hefty price as time goes by so pick up yours as soon as you can. Retails for $24.99 (Target, Toysrus).